Questions or comments? Tell us! Take energy conservation to an extreme with upgrades that go far beyond simple weatherization. St. Patrick’s Day is coming up and I’m reminding you now so that you can avoid those all-too-eager pinchers that might catch you not wearing green. What if houses participated in this weird tradition? Would an efficient house pinch your energy-wasting home? How can you make your house more eco-friendly? This month we’ll give you some tips on how you can make your house a “green” house! The historic polar vortex we just experienced in Michigan shows just how vulnerable our homes are. 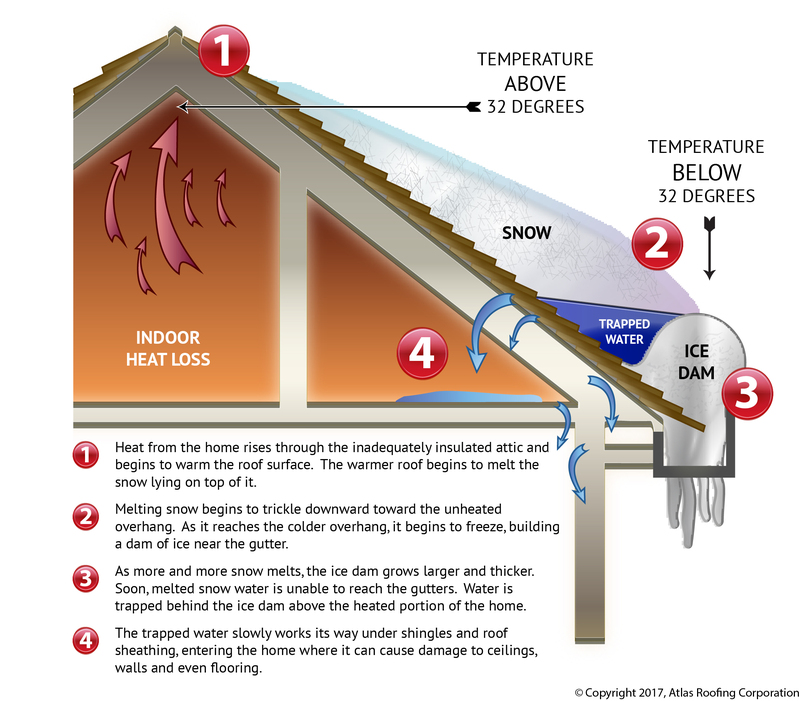 If your home showed signs of icicles, frozen walls & pipes, electrical outlets, condensation on your windows, constantly running furnace that couldn't make your comfortable - your home is telling you that it is wasting money and may be creating health issues for you and your family. Snow is every child’s dream. The falling flakes mean sledding and snow forts, snowmen and snow angels, cold noses and wet mittens. It’s common knowledge that Indoor Air Quality is on the decline. Of course, we all assume Indoor Air Quality (IAQ) is a problem in someone else’s house, but not yours. You use “green” cleaners and change your filters regularly but is that enough? IAQ can cause or exacerbate illnesses like asthma or emphysema and with pollution being the single largest environmental health risk according to the World Health Organization; maybe it’s better to be sure. Luckily there are some relatively inexpensive products & services available to check your IAQ. Anna loves her house. She loves its big front window; she can sit by and watch the kids head off to school in the morning. She loves the back porch where she can see the sunset. She loves the half finished basement where she can escape the ruckus upstairs and get some of that never-ending laundry done. She even loves the bathroom, with its big tub & lock on the door to keep the kids out. As the weather gets colder & we spend more of our days inside, its important to take a few minutes to evaluate your home's Air Quality- why it matters & what you can do to protect your family's health & happiness. We are proud to announce that we have been accepted into Pearl’s prestigious Contractor Advantage Network. Working with an elite network of highly-skilled contractors, agents, and brokers as well as savvy homeowners who prioritize health, energy-efficiency, and low home operating costs, Pearl-certified homes command a 5% sales price premium. Before winter hits, make sure you do a visual inspection of your roof to look for maintenance issues. Look for damaged shingles or missing tiles. If you have flat roof-top, look for surface bubbles in the membrane material or missing gravel. All these issues can contribute to energy losses and larger damages, whiche means later you might find yourself paying twice the price. Human kind is powerful, sometimes we like think we are more powerful than we actually, but sometimes we might be in denial how big of an impact our daily actions have. Climate change and extreme weather. Let' s stop denying the connection between these two and look at some facts. What role might human-caused climate change be playing in all of this?